Volga-Dnepr Group has been named ‘Airline of the Year’ in the ‘regional and international lines air freighter’ category in the prestigious “The wings of Russia-2004” national aviation awards. Major competitors for “The wings of Russia-2004” prize were Aeroflot-Russian Airlines, Russian Sky and Tesis. The national aviation awards are presented annually to the best airlines in eight categories. The winners are chosen by a secret election by Members of the Public Board, who includes 90 experts in civil aviation. The experts are representatives of government bodies, state-owned and private companies and mass-media. “Our AN124-100 ‘Ruslan’ freighter aircraft has been flying successfully all over the world for 15 years already, moving unique cargo for unique companies. In 2004, Volga-Dnepr was back to Russia as a scheduled cargo airline, introducing a unique service for scheduled cargo flights from Europe to Asia via Moscow and Krasnoyarsk using Boeing 747 aircraft. ‘The wings of Russia-2004’ prize is a great success and a high evaluation of all the international personal of the Group,” said Alexey Isaikin, President of Volga-Dnepr Group. The major prize of “The wings of Russia-2004” was the fourth public Russian award for Volga-Dnepr. The Group was also named winner of the ‘Regional and international lines air freighter’ category in 1997, 1998, 1999. Among the other important awards presented to Volga-Dnepr and confirming public recognition of the Group’s activities are the international Award of American magazine Air Transport World for “Developing cargo transportation” (2001), the Award of British magazine Air Finance Journal in the nomination “The agreement of the year in Western Europe” for signing a finance agreement in 2002 with IFC and one of the most prestigious awards in the world aviation community, the Flight Aerospace Industry Award in nomination “Corporate strategy” (March 2004). Volga-Dnepr Group is the market leader in the global movement of heavyweight and outsized air cargo, controlling 54 per cent market share in 2004. Among its permanent customers are such companies as Lockheed Martin, Exxon Mobil, Alcatel Aerospace and many other top global businesses that see Volga-Dnepr as an integral part of their logistic chains. Volga-Dnepr has a fleet of ten AN-124-100s, three IL-76s and six YAK-40s. 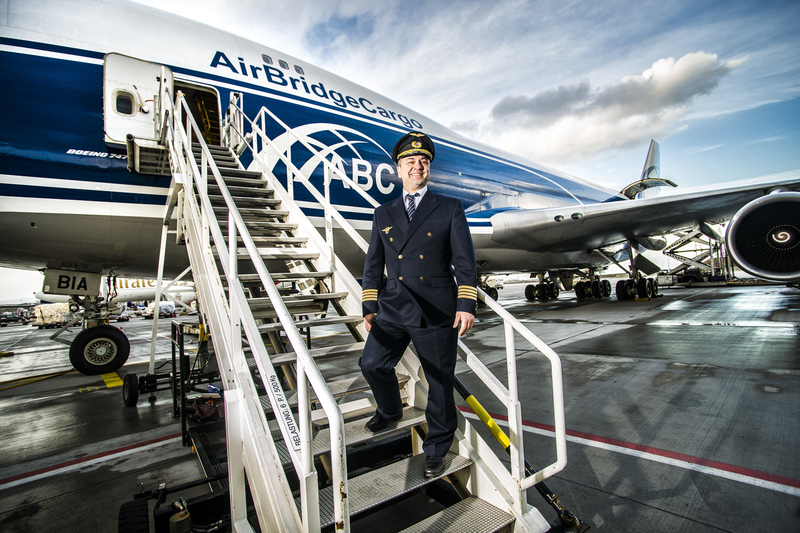 Its scheduled cargo airline business, AirBridge Cargo, also operates two Boeing 747-200s. Volga-Dnepr Group employs more than 1,500 people of 20 nationalities.